After feedback from Amiga people at AmiWest 2014 regarding having two separate Amiga blogs, I have decided to maintain one Amiga blog moving forward covering all Amiga related topics, Next Generation and Classic Amiga. To this end I have already migrated all the Classic Amiga blog entries (and comments, etc) to the main Amiga X1000 blog. Please use the Amiga X1000 Blog from now on as no further blog entries will be posted on this Classic Amiga blog. My focus has been on AmiWest for the past few weeks, so I haven't done much in Classic Amiga land - my apologies in the delay in posting. Today I wanted to take a look at the recently released Classic Amiga game Tales of Gorluth on my Amiga 600. Having completed all the AmigaOS Updates 3 to 6 on my AmigaOS 4.1 Classic install on WinUAE Beta 12, I now have a system ready for the next steps in Part 3! In Part 2 of setting up AmigaOS4.1 Classic on WinUAE I will look at how to prep and install AmigaOS4.1 Classic on a hard disk file in WinUAE. By far the exciting news of this week (in my opinion) has been the PPC support implemented in BETA form on the WinUAE Classic Amiga emulation. 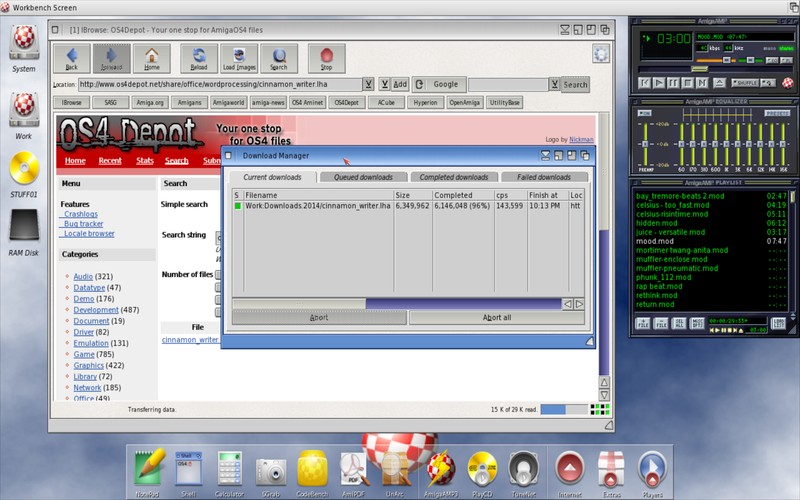 This enables AmigaOS4.1 Classic to be used under WinUAE on a Windows PC! I had to try this out! I read on various Amiga forums about a rival floppy drive emulator for the HxC floppy, called the Gotek floppy drive emulator. It is in reality a Cortex board, but flashed with the right firmware it can be used as a cheap Amiga floppy drive emulator on the Amiga 600 - I found a seller on Ebay selling a pre-flashed Gotek Amiga package with accessories and quickly bought it!